When it comes to allergy medication, we’re often curious about their long-term effects. In general, medicines can be applied to the skin, applied as drops, injected, inhaled, and ingested (among others), and we use them because medicines assist our body in overcoming illness. When we use medicine, we usually do so by accepting potential side-effects, however, the situation is much different when pregnant or breastfeeding. Pregnant mothers, as well as breastfeeding mothers, are eating for two. Does that mean they are taking medicine for two as well? As someone who’s had allergies most of their life, I can understand the need for those antihistamines, nasal sprays, and cortisone creams. For people who are pregnant, allergy symptoms can be fickle. The symptoms might disappear, stay the same, or they might increase. If you feel you need antihistamines, it’s wise to ask your doctor if allergy medication is safe for pregnancy and/or breastfeeding. In this article, we’ll review some of the research regarding allergy medication, pregnancy, and breastfeeding and put you on the right track to know what’s best for you and your baby. According to the Food and Drug Administration, there are approximately 6 million pregnancies in the United States each year and more than half of pregnant report taking at least one medication. The reasons can be as simple as allergies or as complex as diabetes but it’s important to know that many people are in the same situation as you. In consultation with your doctor, you’ll learn that some medicines are okay to take while pregnant or breastfeeding and others should be avoided. When in doubt, refrain from taking the medicine until you speak with your doctor. You can also read the label of your medicine, look up the name of the specific drug/ingredients online, and report any possible problems to your doctor. At Dust Mite Solutions we share helpful information, resources, and personal experience for indoor allergens. We also share ways to minimize exposure to these allergens by improving your home environment. If you’re pregnant, avoidance of your allergens will be key to reducing the need for medication. For pregnant women with moderate-severe allergies, it might be tough to stop taking antihistamines, even if your home is clean. These actions don’t require medicine and could help you breathe easier in your home while reducing allergens. I’ve found that furnace filters to be especially helpful and I turn on the vent once a day to help clean the air. The medicine you put in or on your body could impact your baby early on in the pregnancy and continue during breastfeeding. For those planning to get pregnant, speak with your doctor beforehand so you have ample time to stop the medication. According to WebMD, many over the counter antihistamines and nasal sprays should be okay to take during pregnancy. These include Zyrtec, Benadryl, Allegra, Claritin, Nasalcrom, and Rhinocort (remember, it’s the main ingredient, not the brand name that should be considered). Sprays, eye drops, or ear drops might be better during pregnancy because they tend to stay in one area of your body, unlike pills that are ingested and spread throughout. WebMD states that the trimester of your pregnancy also matters, so don’t think that if a particular medicine is okay in the 3rd trimester it must be okay in the 1st. Also, note that using decongestants (oral) could make birth defects more likely. Remember: The things that go in your body might make themselves available to your baby, and because your baby is much smaller than you, it might affect them in a more significant way. Over the years there has a been medical research looking at the safety of asthma and allergy medications during pregnancy. In 1997, an article published in the Journal of Allergy and Clinical Immunology evaluated the safety of taking allergy medication during pregnancy. The research stated that “although no asthma or allergy medications can be considered “proven” safe for use during pregnancy, the results found that no significant relationships were found between congenital malformations and a number of allergy medications (including corticosteroids, antihistamines, or decongestants)”. Another report in 2001 was published in the Seminars in Perinatology shared that “maternal use of oral corticosteroids has been associated with reduced birth weight, an increased risk of preeclampsia, and an increased risk of oral clefts (in the first trimester)”. In 2004, Nesil Kele published an article that looked at the treatment of allergic rhinitis during pregnancy. 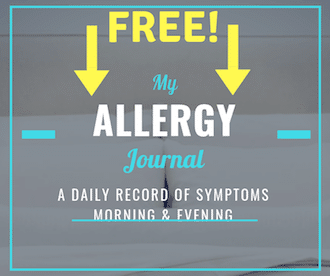 They found that allergen avoidance was the best first-line approach and the preferred way to manage allergic symptoms. The study also found that intranasal cromolyn has an excellent safety profile. Antihistamines should be considered next. Intranasal steroids could be considered for severe nasal obstruction, however, there aren’t many studies. Pregnancy and allergy immunotherapy have also been researched. Metzger, Turner, and Patterson looked at a “The Safety of Immunotherapy During Pregnancy” and found the incidence of prematurity, toxemia, abortion, neonatal death, and congenital malformation was no greater than the general population. As a result, women who are taking allergy shots do not need to stop immunotherapy while pregnant. As a general safety rule, it’s wise not to begin allergy shots while pregnant. Each person reacts to allergy immunotherapy differently and rather than start after getting pregnant, it makes more sense to begin the process after giving birth. Did you know that your allergies could worsen during pregnancy? They could also improve or stay the same. You’ve got a 33% chance for each. If you think you’re becoming more sensitive to allergens you’re not alone and it’s important to speak with your doctor about your options. Depending on what you’re allergic to, you should be able to make a few simple lifestyle adjustments to improve the way you feel. If you need to take medicine, your doctor will share the best medicines that won’t impact your pregnancy. Cheers to you if you’re of the 33% of mothers whose allergies improve. That’s a welcome, yet surprising side-effect of pregnancy. Can you take allergy medication during pregnancy and breastfeeding? That’s a responsible question to ask and something you should plan before getting pregnant. Once you’re pregnant you’ll need to be extra careful what you put in and on your body. 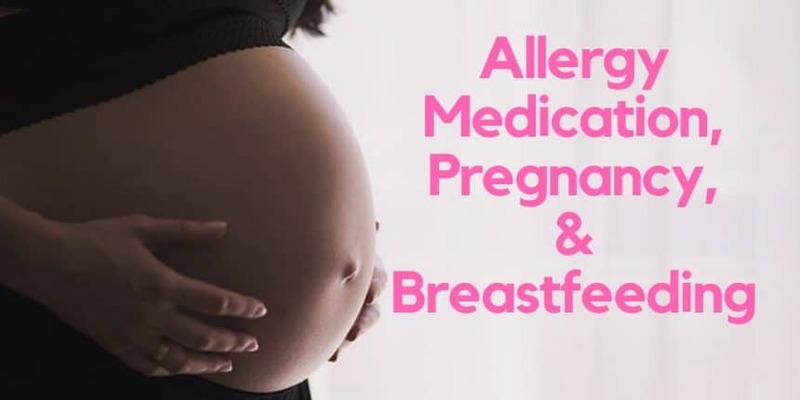 Although many over-the-counter allergy medications will be fine to take during pregnancy and breastfeeding, the best action to take is to reduce your allergen exposure. This can be done with allergy-proof bed and pillow covers, HEPA air purifiers, allergy masks, and furnace filters. You can also be mindful of open windows, humidity levels, ventilation, and visually check your bathrooms and basement for mold growth. The studies show that many OTC medications shouldn’t cause problems with your pregnancy but make sure you speak with your doctor before using. Thanks for reading another Dust Mite Solutions blog. Check the homepage for more helpful tips and personal experience.